Listen, millennials: Applebee’s tried. They catered to your finicky whims, tried to talk your bebop language, and still you wouldn’t give them the time of day. Now the casual dining chain is done trying to impress you. A restaurant famous for nothing in particular, Applebee’s announced it was closing up to 135 of its underperforming locations (though, according to The Washington Post, it will offset the closures by opening 30 new ones in more receptive markets). 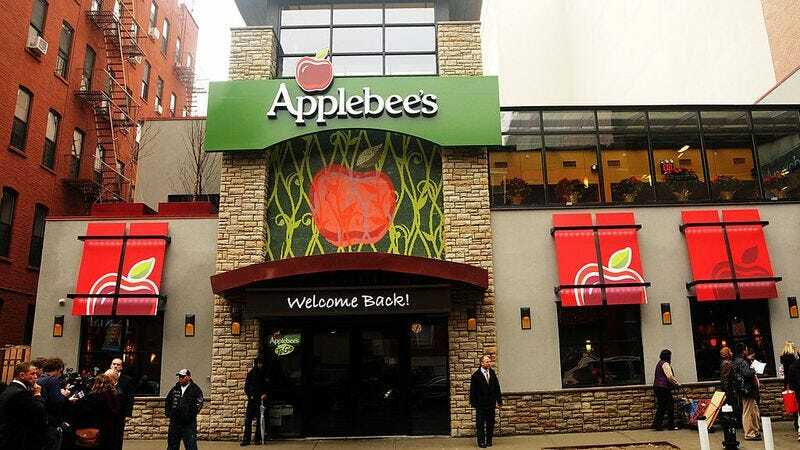 A major calculus in Applebee’s decision to reboot was its failure to capture “a more youthful and affluent demographic,” said Applebee’s president John Cywinski in an analysts’ call last week. In recent years, the chain—with about 2,000 stores nationwide—had unveiled a more modern design aesthetic and introduced newer, more exotic-sounding menu items, such as chicken wonton tacos and BBQ shrimp with Sriracha-lime sauce. This comes as DineEquity, the parent company of Applebee’s, announced its second quarter earnings saw a 21 percent drop in revenue from one year ago.